These models are identical to the original Victor Lambda and are thus compatible with it. But when Micronique bought back the Victor Lambda to Interact, they modified it : they changed the CPU (Intel 8080A -> Z80A) and re-designed entirely the mother board and the overall conception. But these 16k models experienced a lot of little changements which lead into a certain confusion about the Hector / Victor family. 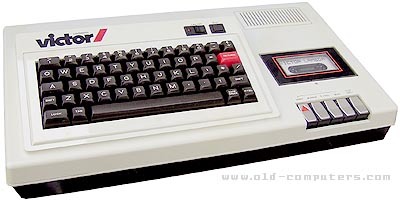 First the Victor logo changed, then the name was changed to Hector (to avoid confusion with Victor Technology computers), then the keyboard became AZERTY and a last, the Basic was integrated in ROM. That's a lot for a unique machine ! And I don't speak here about the different versions of ROM. see more Micronique Victor / Hector 1 Ebay auctions !